We are a group of people in and around Inverasdale on the banks of Loch Ewe near Poolewe in Wester Ross, with an interest in growing and selling local food. Our vision is to increase availability of affordable, locally grown, chemical free produce to the local community. We have leased land from a local crofter who is a member of the group. 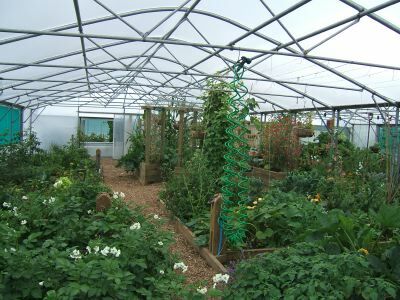 This land is divided up into a number of allotments - both outdoor and undercover in our Keder House polytunnels - that are avalable for rental by our members to grow their own produce. We also host The Shieling project which provides growing opportunities to involve people who may not be able to maintain a plot of their own. One of the Keder Houses is allocated for communal growing of produce for sale at the local market. We also have a number of outdoor plots that are cultivated by members in an "adopt-a-plot" scheme to grow produce for sale by Good For Ewe. 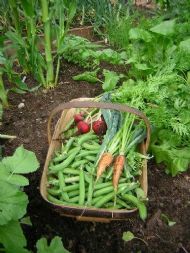 Marketing and sale of the communally grown produce, excess from members' plots, and produce grown by members in their own gardens and crofts, is performed co-operatively. Please have a look around this site and find out more about what we do.